Even more seriously from the standpoint of homeland security according to the report, H.R. 6691, the report claims, would even allow open carrying of .50 caliber sniper rifles, capable of destroying armored personnel carriers, aircraft and bulk fuel and ammunition sites. These guns can penetrate several inches of steel, a three and a half inch storm sewer cover, or a 600-pound safe. They are accurate at up to 2,000 yards, and can inflict effective damage to targets over four miles away. Except the Marine Corps demonstration video that showed a .50BMG shooting through a safe, and several inches of steel, was with a special high explosive armor piercing round that’s only available to the military, and rounds that aren’t .50 can penetrate a half inch of mild steel (which is what manhole covers are made from). Reporters don’t know this, so they are fooled. The Brady’s may have gone way over the top with this, but most of the media is too ignorant to question it. It may be dishonest, but it works. as opposed to concealed carry of a .50 BMG rifle? that guy might appear a tad conspicuous to, you know, a blind person. The only time I’ve ever been asked to verify facts in a release or an oped was for an alternative weekly paper. Oh, and one newspaper that wanted the raw numbers only so they could create their own graphics to go alongside the oped. And we all know of the havoc those .50 cals are creating in Virginia! This is aggravating to read. I know the media is biased against gun rights and such, but does and pro gun rights group try to do anything to counter this bias? I don’t know squat about the 50cal bmg, but does the manufacturer of this stuff do anything to counter this disinformation? Try to get a pro-gun piece published in regular media. It’s an uphill battle. In some media markets it’s just a bias, and ignorance. Some media markets are just outright hostile to guns and the second amendment. I recently submitted a letter to the editor, which I opted to leave my title as an NRA volunteer off of, because if the paper saw NRA on it, they would trash it. Of course, that’s not to say I wouldn’t agree that NRA tends to have a fatalistic outlook on getting a fair shake from the media. Just because it’s hard doesn’t mean they shouldn’t be trying harder. Bitter managed to get a pro-gun op-ed published in the Inky a few months ago under the PAFOA banner. 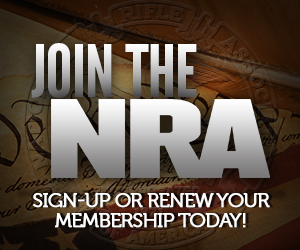 It’s possible the media won’t give NRA the time of day, but is willing to hear from other gun rights opinion leaders. In that case we’re all going to have to step up to do what NRA can’t do effectively. The VPC’s stance is that criminals will automatically buy the Raufoss round (somehow). I wonder if they apply that to 7.62x54R AP rounds. There must be millions of rounds stockpiled in the former Soviet states.